“Shameless” is coming back with a new season! The twisted and yes, shameless original series from Showtime is filming back in the Chicago area again and is in need of background actors in various age groups. The series is also looking for pre-teens and teens to work on an upcoming episode. They are also in need of some stand-ins. The show’s casting directors have released a casting call for their immediate needs on the new episodes as well as set up a casting form for more general roles that will be coming up. The series does film in the Chicago area, so please only submit to be an extra if you live in or around Chicago, Illinois. “Shameless” Season 5 will be adding some cast members. According to THR, Dermot Mulroney (Crisis) will be joining the cast for season 5. Dermot Mulroney plays a recovering addict by the name of Sean Pierce. Sean will be Fionas new manager and there is rumor that we may see some heat between the 2. Fiona got a job in the previous season and we will finally get to meet the new boss. Mulroney will be replacing Jeffrey Dean Morgan, who left the show last season. Supposedly, Mulroney will be a series regular and a major character in the show. 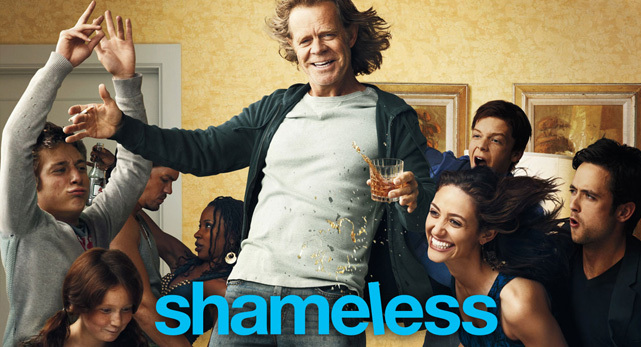 We are currently casting the fifth season of “Shameless,” which shoots Monday, Nov 17th through Friday, Nov. 21st. Please complete this form to submit your availability. Talent who is interested in working as extras on the Showtime series will need to register with 4 Star in Chicago and fill out the availability forms. By submitting your answers to this form, you are stating that you have 100% OPEN AVAILABILITY for all of the shooting dates that you select. This means, if/when we call or email you to work, you will be available, regardless of the date or time of the shoot. ONLY submit dates that you are SURE that you are available for. We will use this form and the answers you provide to fill the slots we need for the shoot. Intersted? check out the extras form that talent must fill out to be considered for the show. There is also a separate form for minor registration to work on the show. We will need college aged kids for a college scene and then mostly just regular neighborhood types with cars. We will need BOYS AGE 12-15 to work on TUES NOV 18th. We will be shooting this scene at Cook Co Jail, in a secure area. We are playing it as a juvenile detention center. We will need 15 CAUCASIAN BOYS, age 12-15 with SHAVED HEADS or who will get their head shaved (additional fee for getting haircut) and 15 AFRICAN AMERICAN BOYS, age 12-15. We will need some extras with cars. If we use you with your car it pays $75/8 + $35 car bump. They prefer older, beat up cars, trucks and SUVS.